Less than a year after his last album was panned by critics and snubbed by some fans, the American rapper Eminem caught the entertainment world off guard with the surprise overnight release of a new album called "Kamikaze." It was the Detroit rapper's 10th solo album, and it came just eight months after "Revival," which had his worst sales to date. The eight-month gestation of "Kamikaze" was the quickest in which Eminem has recorded any album. "Revival" had both critics and fans grumbling that the rapper also known as "Slim Shady" had gone too commercial, surrounding himself with pop stars like Ed Sheeran and Beyonce whose musical world is in a different universe. The artists collaborating with Eminem on "Kamikaze" are less well-known, but they lend the short album (13 titles) greater coherence and restraint. 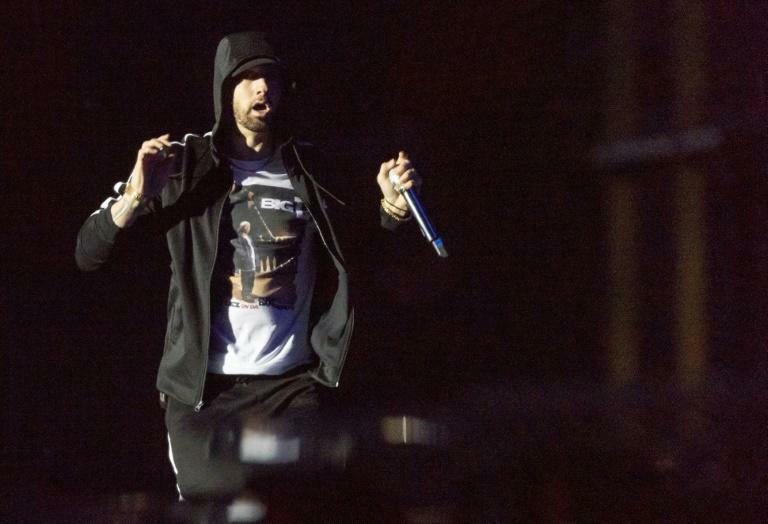 In the album's expletive-laden introduction, an irritated-sounding Eminem -- real name, Marshall Mathers -- says he wants to "punch the world" the face. The 45-year-old rapper again lashes out at his favorite targets: the critics, rappers who have shunned him and US President Donald Trump. The album, recorded in secret and produced by Eminem and his long-time mate Dr Dre, was released at midnight (04H00 GMT Friday) on streaming platforms. The record's cover illustration, showing an album crashing into a mountain, pays tribute to the 1986 Beastie Boys album "Licensed to Ill," a rap classic. The New York rappers infused their music with a punk spirit that seems to still inspire Eminem.